I'm using the same setup in a pfSense installation with dedicated hardware. 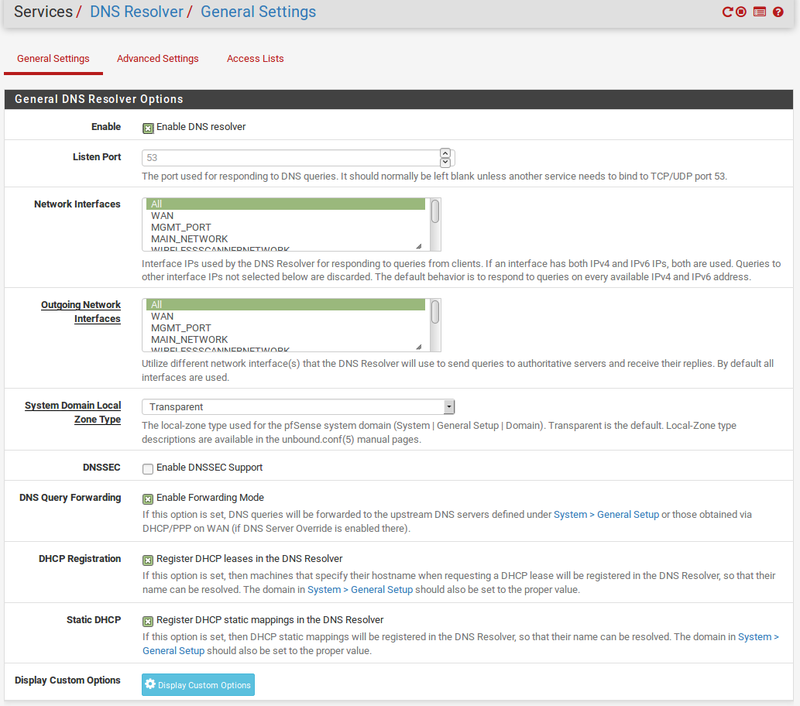 However, the same configuration doesn't work while running pfSense in VMware ESXi. If I manually add each hostname to hostname overides, it works. 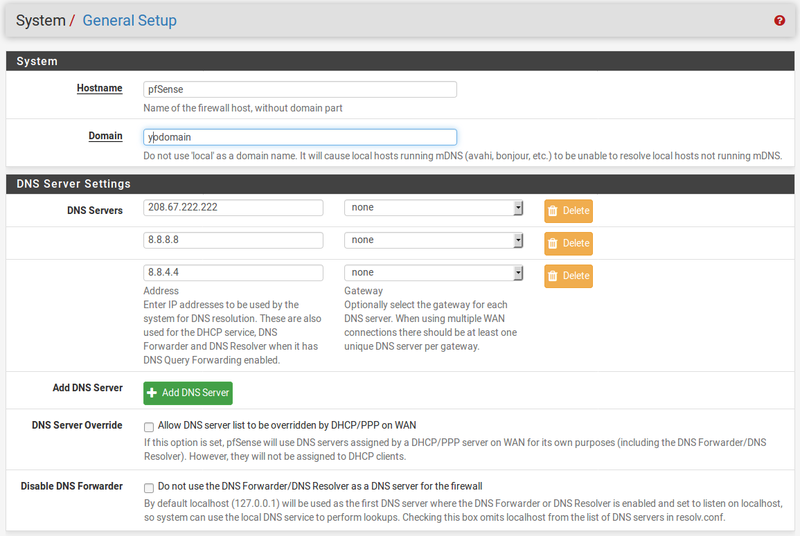 What would prevent pfSense "Register DHCP static mappings in the DNS Resolver" from working?
. 211203   IN   NS   j.root-servers.net.
.         211203   IN   NS   a.root-servers.net.
.         211203   IN   NS   f.root-servers.net.
.         211203   IN   NS   c.root-servers.net.
.         211203   IN   NS   d.root-servers.net.
.         211203   IN   NS   b.root-servers.net.
.         211203   IN   NS   e.root-servers.net.
.         211203   IN   NS   l.root-servers.net.
.         211203   IN   NS   i.root-servers.net.
.         211203   IN   NS   m.root-servers.net.
.         211203   IN   NS   g.root-servers.net.
.         211203   IN   NS   k.root-servers.net.
.         211203   IN   NS   h.root-servers.net.
.         200667   IN   NS   m.root-servers.net.
.         200667   IN   NS   l.root-servers.net.
.         200667   IN   NS   h.root-servers.net.
.         200667   IN   NS   c.root-servers.net.
.         200667   IN   NS   b.root-servers.net.
.         200667   IN   NS   i.root-servers.net.
.         200667   IN   NS   e.root-servers.net.
.         200667   IN   NS   a.root-servers.net.
.         200667   IN   NS   k.root-servers.net.
.         200667   IN   NS   d.root-servers.net.
.         200667   IN   NS   f.root-servers.net.
.         200667   IN   NS   j.root-servers.net.
.         200667   IN   NS   g.root-servers.net. 1. Log in to the VMware vSphere Client and select the host from the inventory panel. 2. Click the Configuration tab, and click Networking. 3. Click Properties for the vSwitch to edit. 4. In the Properties dialog box, click the Ports tab. 5. Select the vSwitch item and click Edit. 6. In the Properties dialog box, click the Security tab. By default, Promiscuous Mode is set to Reject, and MAC Address Changes and Forged Transmits are set to Accept. pfSense: add multiple static IP/MAC bindings?